Hi and welcome to the February Newsletter. Whether you’re in the southern hemisphere like me and feeling the heat of summer, or indoors due to the cold, it’s likely you’ll be sowing seeds soon for either autumn or spring. 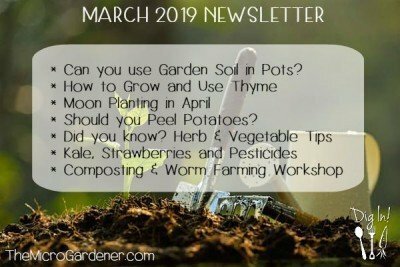 So, this month, I’m sharing another quick ‘How To’ video in my Sow Simple series of free tutorials to help you grow an abundant, healthy garden in just minutes. Dig in! In this quick 2 minute video clip, I share easy-to-apply tips on how to successfully sow lettuce seeds. 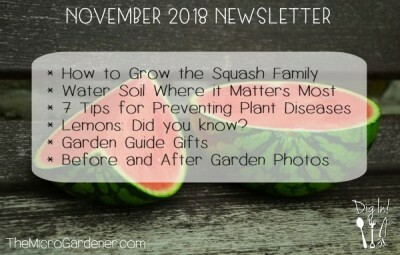 Had problems raising seeds? 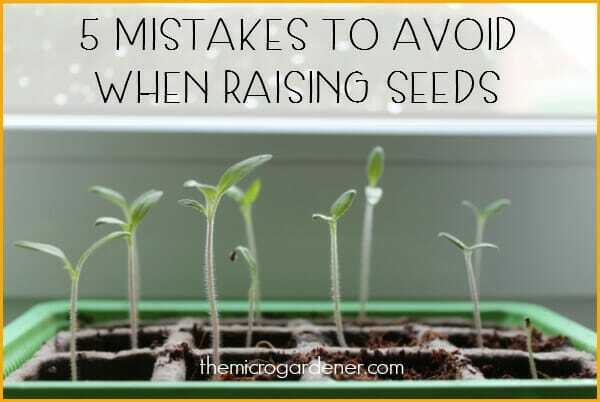 In my latest article, I share tips to help you avoid common bloopers many gardeners make, so you can raise your seeds successfully. So, depending on which hemisphere you live in, it may be too hot or too cold to grow much outdoors right now. So you may be starting to think about seed raising for autumn or spring. When the weather becomes more comfortable, you’ll need your seedlings ready for planting. These Seed Raising Tips should give you a head start. 3 Edible Seeds – Did you know? Sunflowers – After your sunflowers have finished flowering, the dead flowers contain nutritious seeds inside the kernels. 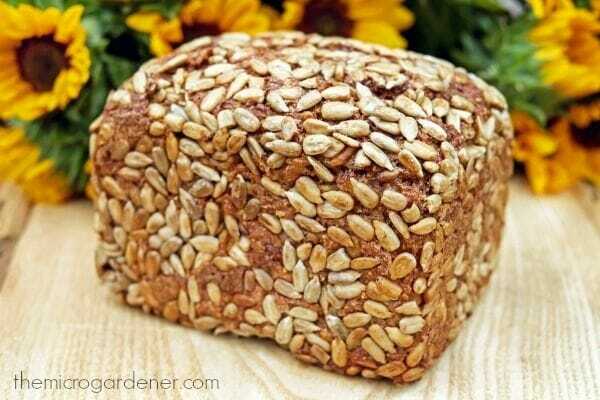 Save these sunflower seeds for sowing or enjoy as a protein-rich snack. They are delicious on home baked bread; sprinkled on salads or fruit to add a nutty flavour; and lightly toasted as a nut substitute in pesto. Nasturtiums – These pretty herbs not only attract bees and have so many uses in your garden, but did you know the green seeds can be pickled as a caper substitute? You can also crush the dry brown seeds and use as a mildly spicy homegrown pepper! Pumpkins – If you’ve ever grown pumpkins or squash, you know how many seeds they contain. You might compost the seeds to grow more free food, but don’t waste them! Pumpkin seeds are packed with minerals and protein. Try lightly roasting in the oven and making your own pepitas. Sprinkle with your favourite seasoning like powdered chilli or spices and enjoy as a tasty snack! 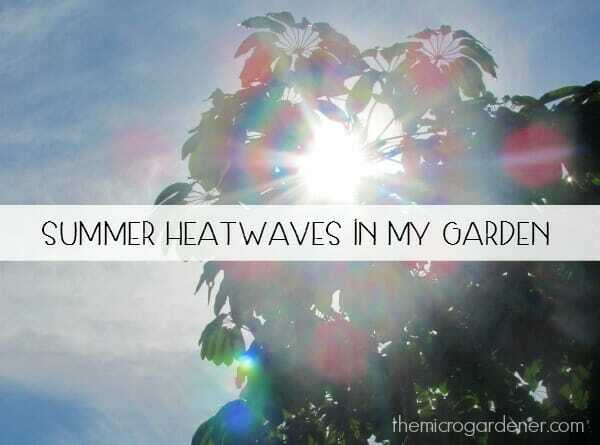 In my February blog, I share how I cope with growing a food garden in hot, dry weather conditions. Some of the strategies I use and a few tips for you too. CLICK HERE to read more. New Mini eCourse Starting Soon! I’ll be inviting you soon to join me for my first online class – stay tuned for details on eCourses. 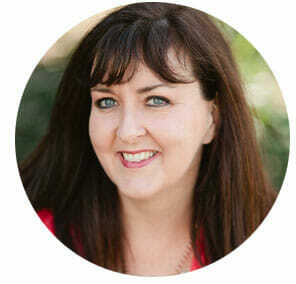 I will be continually adding new events and workshops to my calendar. If you’d like to join me at an upcoming event, check out the details on my Events page. New workshops will be added soon, so bookmark this page. If you missed the tips in my last newsletter, CLICK HERE. 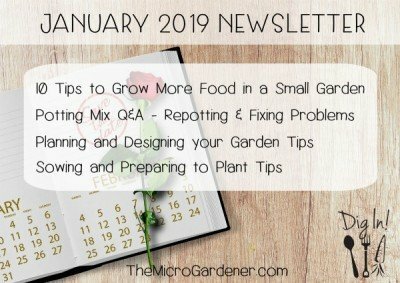 There are a wealth of tips & techniques, DIY projects, container gardening and inspiring ideas in my free Online Library. 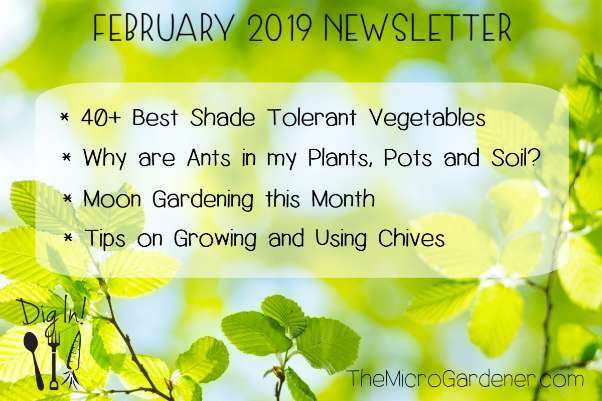 Please SHARE these tips with your friends and invite them to join my newsletter too. Thanks for reading! Until next month, I encourage you to embrace dirty fingernails, muddy boots and the joys of growing your own. I look forward to sharing more ways to grow good health soon. P.S. I really value your opinion. I’d love to hear your feedback anytime. Leave a comment below or CONTACT ME! Some links within this newsletter are affiliate links. I only recommend products or services I use personally or believe will add value to my readers. If you purchase a product via an affiliate link, I will earn a small commission. There is no additional cost to you. It’s a way you can support my site, so it’s a win-win for both of us. You directly support my ability to continue bringing you original, inspiring and educational content to help benefit your health. Thanks! Please read my Disclosure Statement for more details. 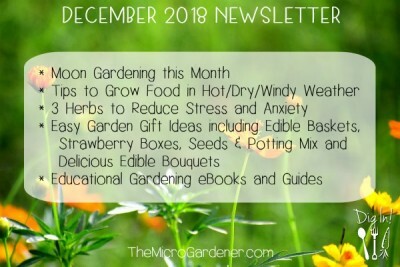 Hi, just wanted to thank you for your newsletter which I look forward to receiving every month. I live in Gran Canaria which is hot for most of the year, but I am unable to grow certain vegetables or herbs because of the climate. However, you have given me some very good tips on the things I can grow. I have recommended you to my daughter who lives in the UK and has now taken an interest in growing her own fruit and veg. Thanks so much for your feedback on the newsletter and really happy to hear you enjoy the tips. Glad they are helpful. We all have challenges of one kind or another no matter where we live. I think these problems can help make us better gardeners with creative solutions. No one has a perfect garden – what would we have to do?! I look forward to welcoming your daughter as a newsletter subscriber also. Have a great day Hilary. Thank you for your information. You have inspired me to save my lettuce seeds. Years ago I read a magazine article regarding seed-saving. It was so involved….letting seeds dry with residue melon flesh on the seeds, then letting the residue dry to almost rotting, then soaking, then drying, etc……… It discouraged me so much I have never saved any seeds. Thanks to you, I will now try your easy method. Love your accent! Yes, I have a Texas accent. Thanks SO much for your feedback on the Sowing Lettuce Seeds video. Glad you are inspired to save your own seeds now. As you can see, it is so very easy. I am a seed saver and have thousands of seeds from my own garden and gardening friends we’ve swapped and shared. Once you get a stash of your own, why not join a local seed saving group? I will also be teaching seed saving classes online as this is such an important part of sustainable gardening. We NEED to save our own safe seeds that have been adapted to our own unique soil and growing conditions. 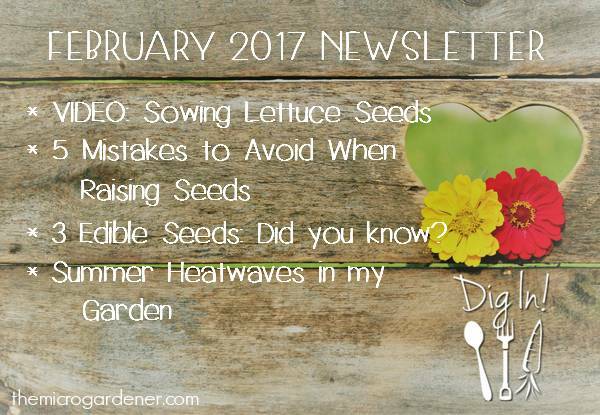 If you haven’t already, you may enjoy reading SAVING & SOURCING OPEN-POLLINATED SEEDS and GROWING YOUR OWN FOOD FROM SEED. I have lots of readers from Texas and they are all especially lovely people. We share similar climate conditions and a sense of humour I think! Send me a photo of your seeds when you have a go! I’d love to share in your success.